Aly Goni is an Indian TV actor who initially participated in MTV Splitsvilla and emerged as an artist that led him to bag the lead role in the TV serial "Kuch Toh Hai Tere Mere Darmiyaan" in star Plus channel. In Box cricket league, he plays for 'Jaipur-Raj Joshiley' team. Right now, he is working in two TV serials. First, one is "Yeh Hai Mohabbatein" of Star Plus and "Yeh Kahan Aa Gaye Hum" of &TV. 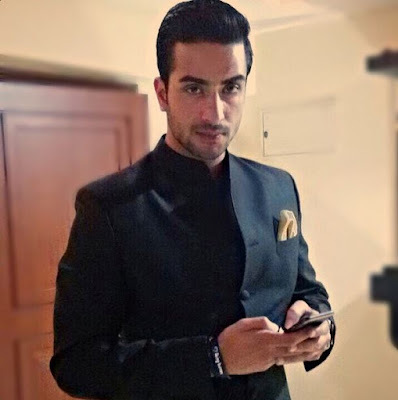 Aly Goni was born in Kashmir on 25th of February 1991 to an Islam family and did his schooling from here itself. He was really curious about modelling and acting since his school days. In 2011, he participated in IFTI and declared the winner in it. This is the event that led him to shift to Mumbai ( Maharashtra, India ) for making a career in this field. He has received a great sort of support from his family when they came to know about his talent and curiosity. If reports are to be believed, Aly was on a relationship with Serbia based model, director, producer, dancer and actress Natasa Stankovic. Later on, they called off their relationship.